A sign of a good song is that it gets stuck in your head when you least expect it. The entire Lit Soul CD ‘Love At War’ does just that. It is catchy, memorable, and full of strong and meaningful lyrics relevant to today. 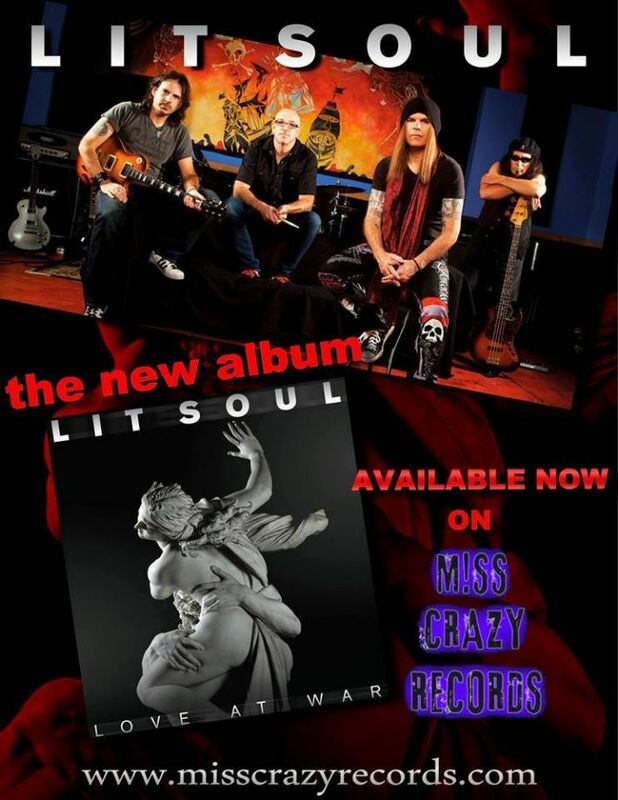 Lit Soul, a poetic, classic, melodic hard rock/metal band that advocates Liberty in the modern age, is really excited about signing with M!SS CRAZY Records, their brand new album ‘Love At War,’ and their upcoming shows in the Southern California area. Lit Soul performed at The Complex on Saturday, September 13th, and they have several more shows in the works. I sat down with founder and front man Rob Chevelle to learn more about the latest Lit Soul happenings.